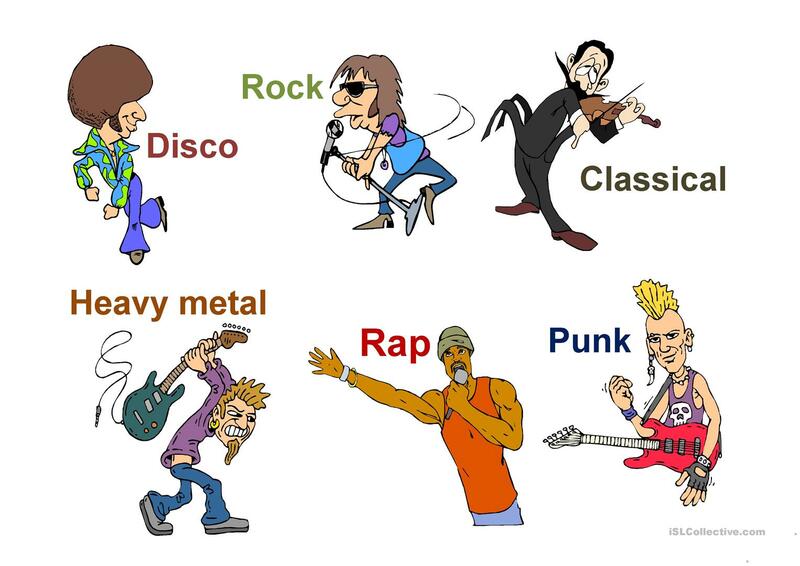 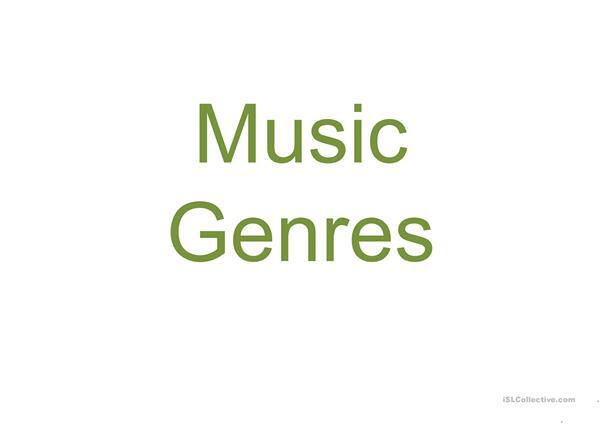 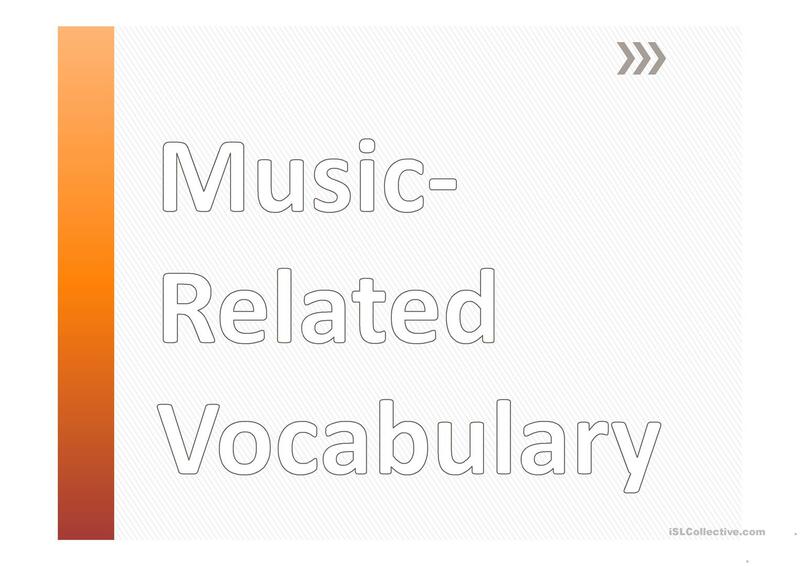 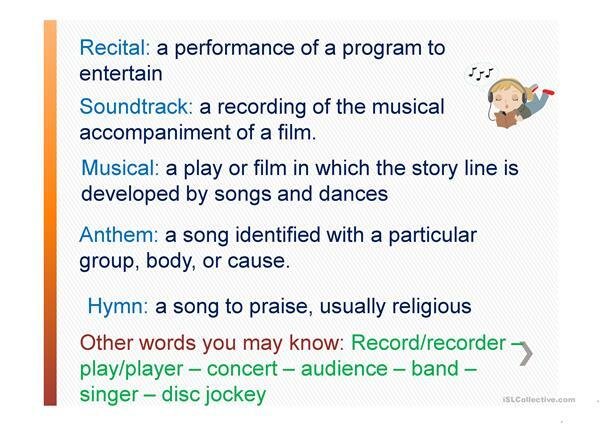 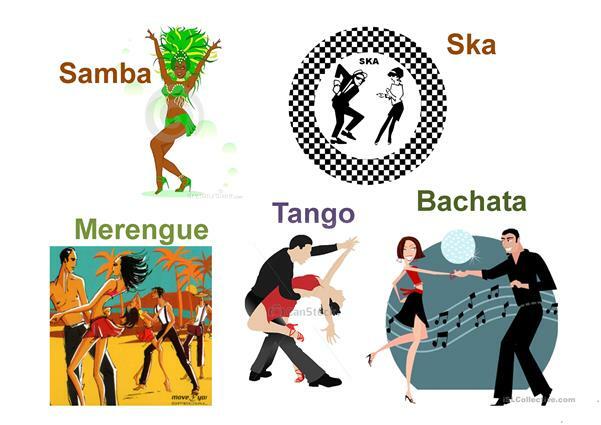 Some of the most popular music genres and music-related vocabulary. 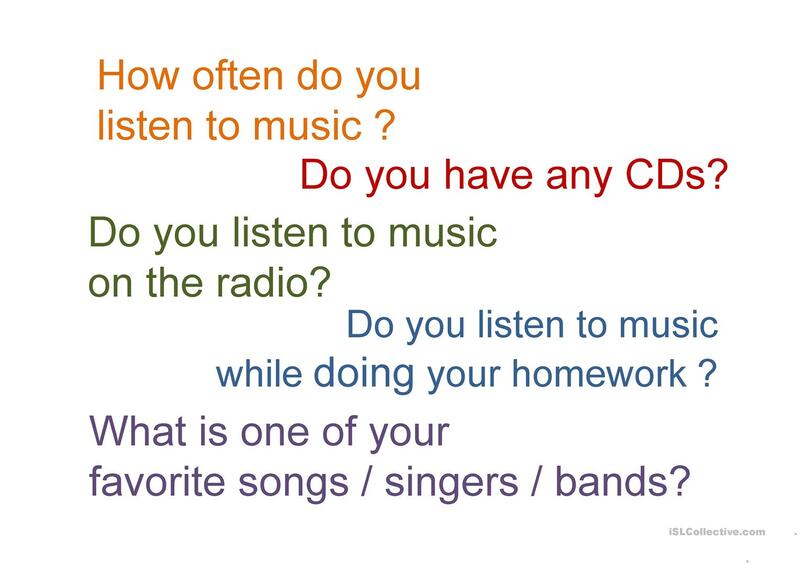 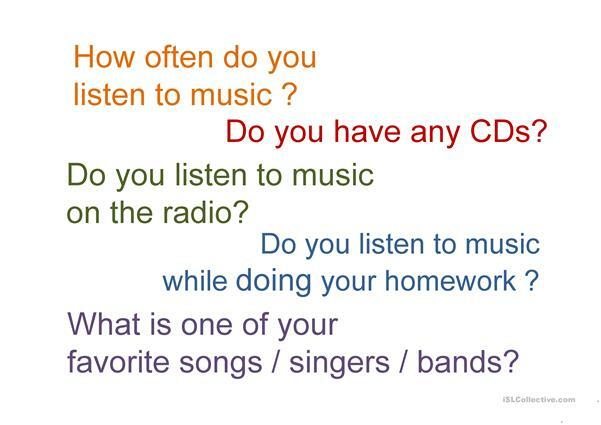 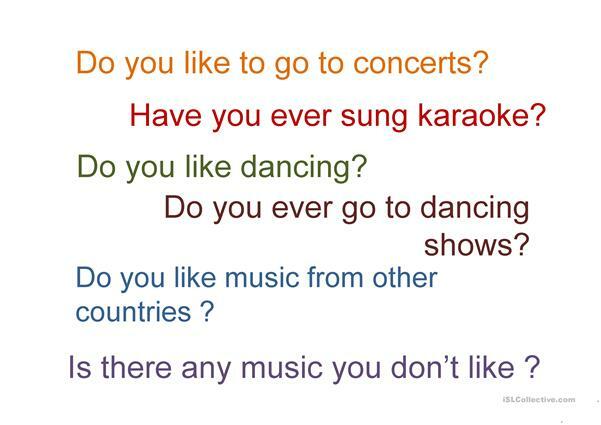 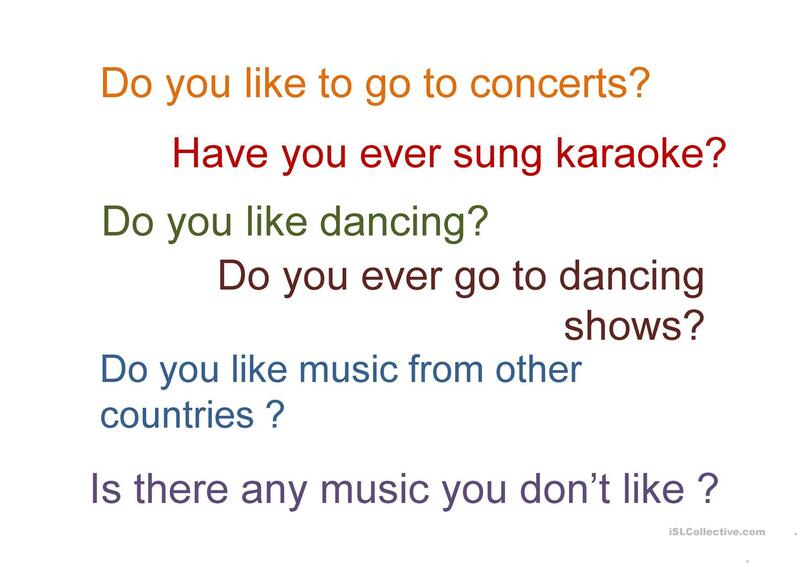 Also, some questions to ask the sts related to music. There are some images of famous artists to have the students identify the music genre they do. 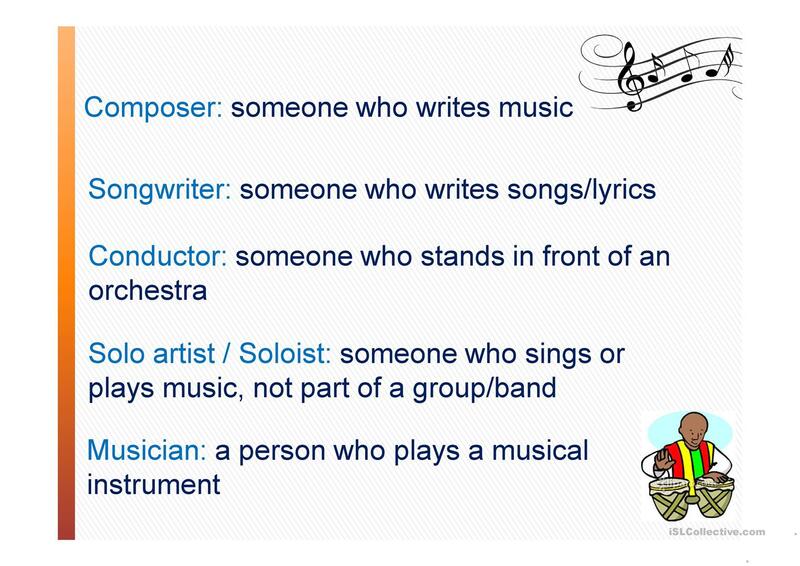 Take into account -and tell the sts- that most artists nowadays belong to various music genres because it's very common to mix them. This downloadable teaching material is recommended for business/professional students, high school students and adults at Elementary (A1) and Pre-intermediate (A2) level. 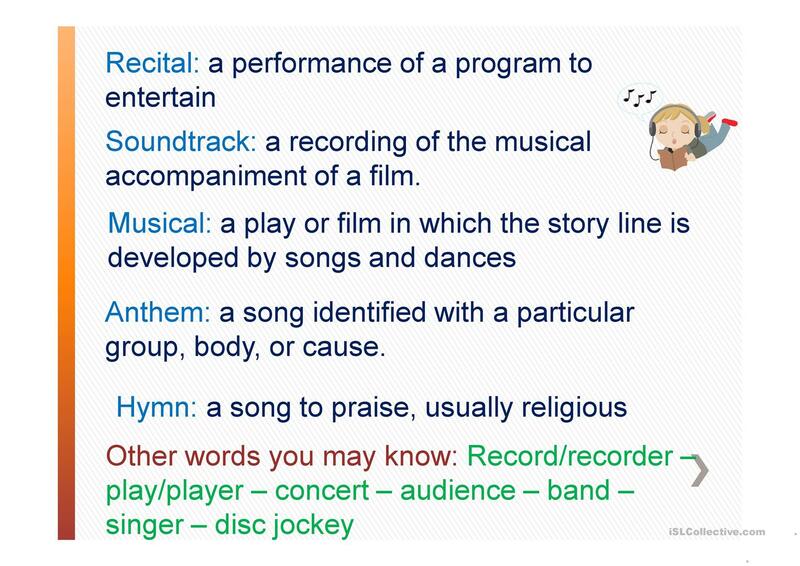 It is useful for enhancing your class' Speaking and Reading skills. It features the topic and words of Music.  AixaHeLo is from/lives in Colombia and has been a member of iSLCollective since 2013-02-13 20:52:09. 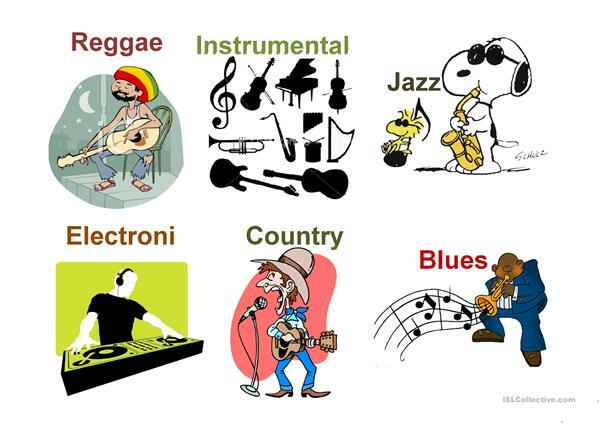 AixaHeLo last logged in on 2019-02-21 03:32:11, and has shared 5 resources on iSLCollective so far.